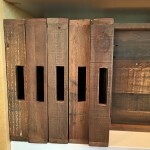 World Market has impressed me with all the new items I have seen in the store and online especially for the office. 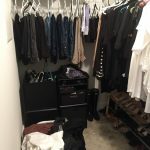 These are a few of my favorites because they are not only functional but they look great! When you are giving an office an update the best place to start can be with a new desk. 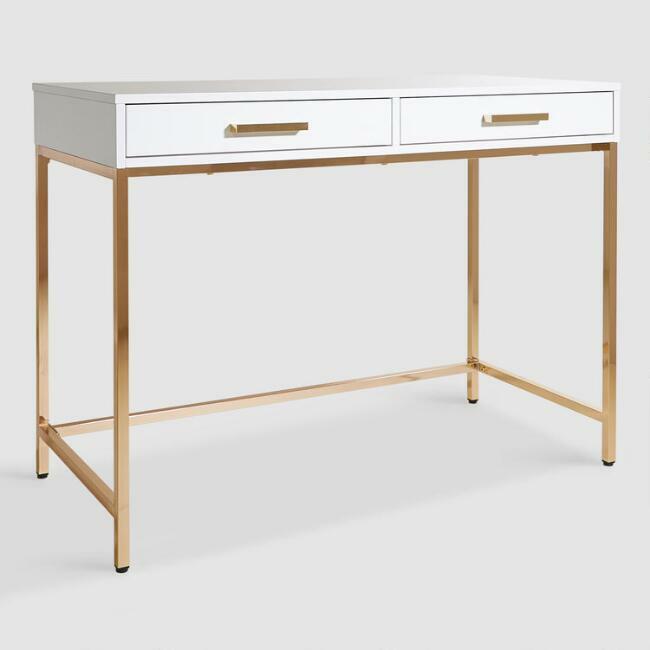 This Reid Desk is a favorite because of the clean lines and two drawers for plenty of storage for all of your office supplies. 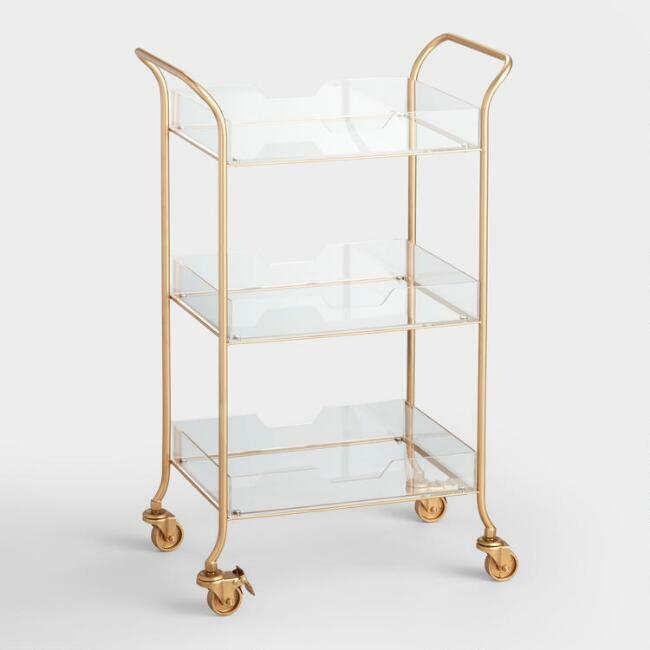 If you are looking for the perfect item that looks great and gives you added storage then the Emerson Rolling Cart is ideal! I loved this the moment I saw it in the store. The gold and lucite give you an updated look and works not only in an office but small spaces too! 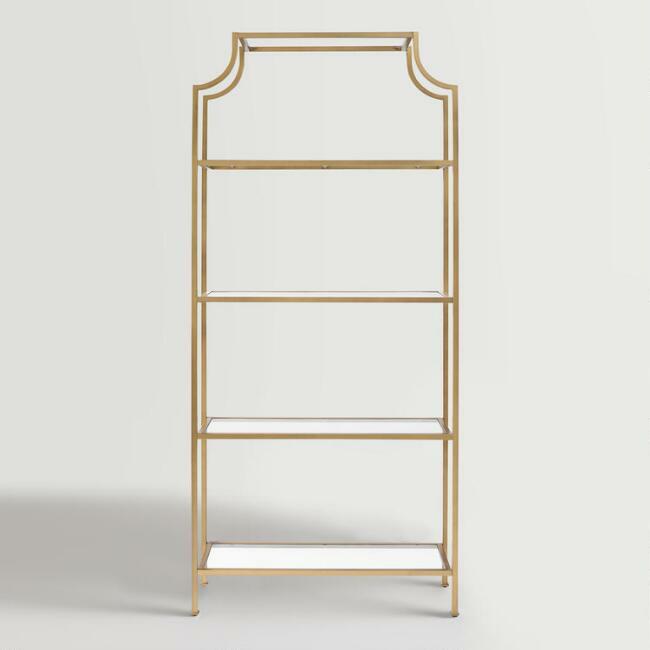 Good looking shelving can be hard to find so when I came across the Gold Milayan Tall Shelf I knew I had found the perfect piece that I would recommend. It is simple and would look great in any room in the house but I love it in an office. I love this binder so much that I bought it for myself! It is small enough to carry in my bag but large enough to have all of my notes at my fingertips. 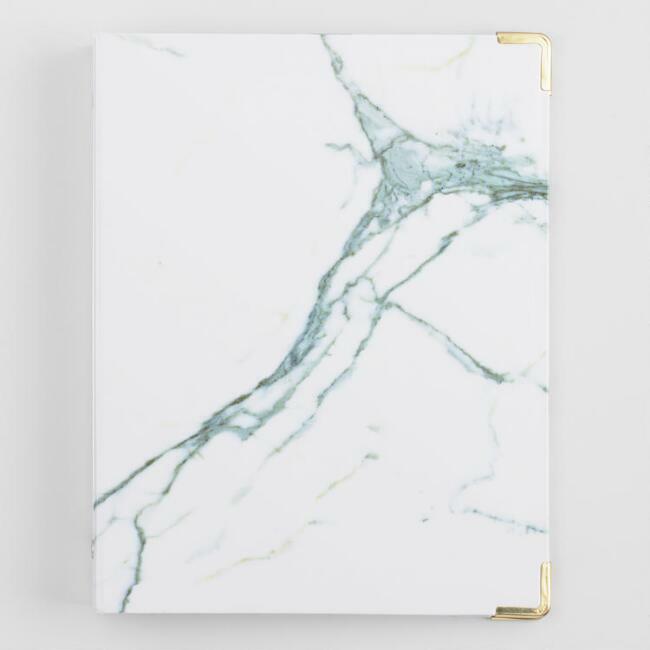 I’m already making my holiday lists and these would be a great gift for those who still like the convenience of a notebook. One way to stay organized in the office is to have a tray for items that need to be filed. 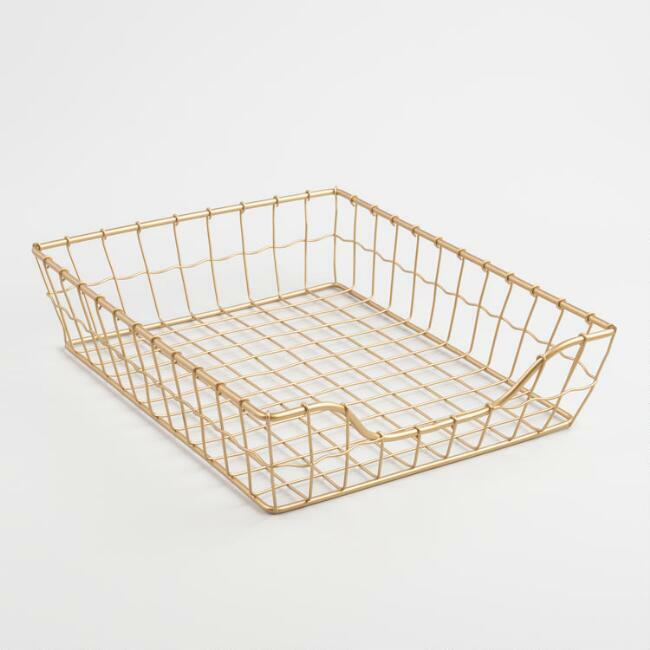 This Antonia Paper Tray is perfect for keeping mail and other important papers from being misplaced. A collator is an important way to stay organized in an office. 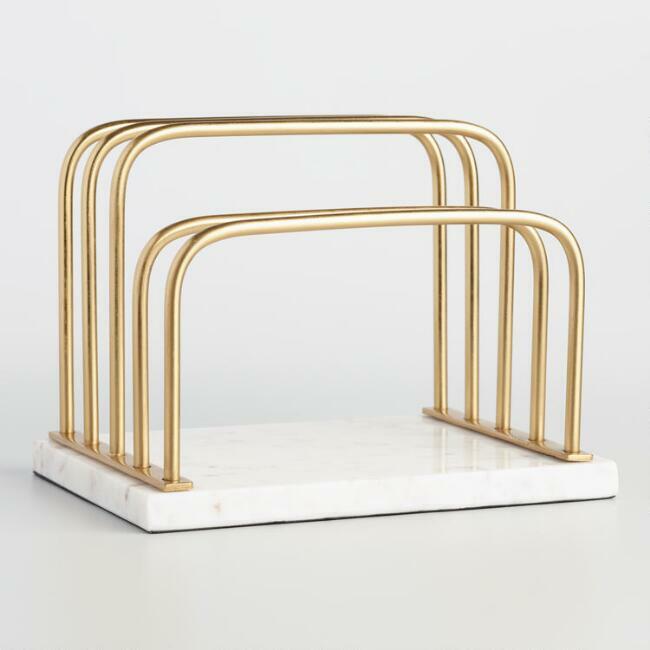 This Maxwell Letter Holder is a good choice for keeping your everyday files at your fingertips. 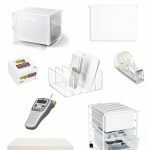 If you are ready to update your office space you can find all these items and more on their website. What a great time to make your furniture purchase with 40% off until November 25th. 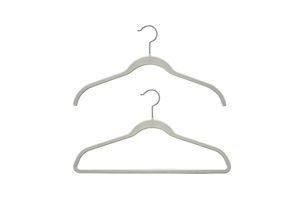 Get organized before the new year with these office finds!